A concentrated product which encapsulates and eliminates airborne odors. 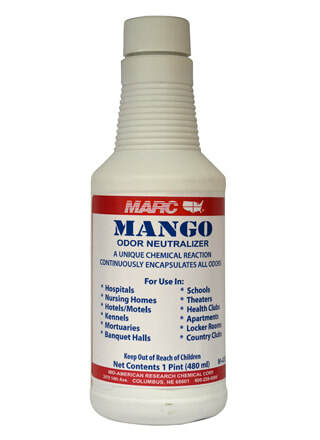 MARC Mango can neutralize even the most offensive odor problems through a unique chemical reaction. A single spray can neutralize odors for up to 24 hours through its three-way action: as a space spray, contact spray and evaporative deodorizer.